Dr. Gerstein is Medical Director of the Cancer Institute of Long Island, a clinical instructor at NYU Medical School, and a senior attending physician at North Shore University Hospital. 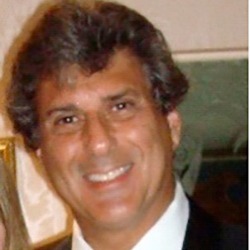 He is also a Founding President of the Long Island, NY Oncology Network. Dr. Gerstein is a recipient of the Above and Beyond award, presented annually to the person with the most positive impact on the lives of NET patients. He has been treating NET patients for a decade and now has one of the largest NET practices on Long Island. He has pioneered the use of monoclonal antibodies, angiogenesis inhibitors, and immune modifiers for the treatment of cancer and has brought many new drugs to NET patients far ahead of their availability to the general public.